Apartment in Herzliya Pituach for rent .. Apartment in Herzliya Pituach for rent .. Gated Laguna complex has a gym, two indoor pools, underground parking, to the restaurants and shops are a 5 minute walk. The apartment has 3 rooms, 2 bedrooms, 2 balconies, sea and the yacht club. A new cottage overlooking the sea in Netanya. A new cottage overlooking the sea in Netanya. Cottage is situated in the new area of Netanya (NAT-600) pool, closed parking for cars, a cottage is sold with expensive new furniture, cottage equipped with smart home, hot tub on the roof of the cottage. The lower part of the cottage (D = separate unit of housing) for rent for $ 800. 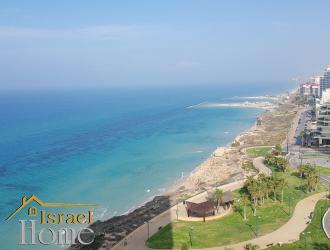 4-bedroom apartment in Netanya, overlooking the sea. 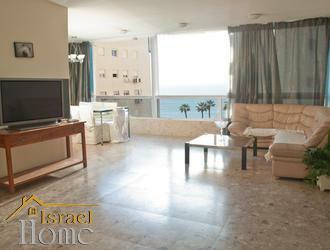 4-bedroom apartment in Netanya, overlooking the sea. Cozy apartment on the second line of the sea, sea view, 3 minutes from the central area of Netanya, and a minute before the descent to the sea. 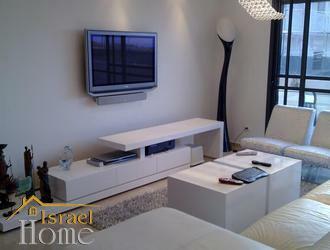 Short-term rent in Netanya Spacious 2-room apartment on the first line of the sea in the city of Netanya. The apartment is equipped with everything necessary for comfortable living. 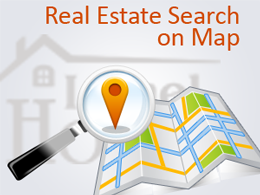 Nearby are supermarkets, shops, cafes and restaurants. Rental apartments with Bath Yame, 5 Komna, kind of sea. Total space: 165 sq. m.
Daily rent in Bat Yam. Total living space: 30 sq. m.
Total living space: 135 sq. 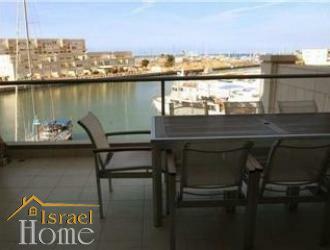 m.
Duplex apartment with a separate entrance in Bat Yam on the seafront with its beach daily rent. Total living space: 40 sq. m.
Total living space: 45 sq. m.
Renting an apartment in Bat Yam. Total living space: 70 sq. 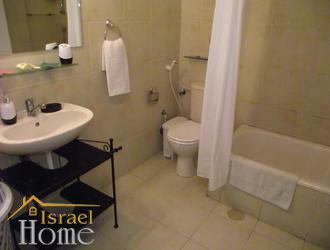 m.
Short-term rental apartment in Bat Yam, Hotel Leonardo. Total living space: 35 sq. m.
Total living space: 155 sq. m.
You would like to relax at the resort, where everything is solely your desires? Then the Israeli city of Bat Yam for you will be the best alternative expensive European proposals. The city is relatively young, founded in 1926godu he managed to survive the severe shock, recovery, andgradually rekindled again, but the main focus was the tourism base. Despite the considerable number of hotels, most of the tourists are attracted rent in Bat Yam , because we offer the variety of services with affordable rates. You can rent an apartment in any part of the city, with our company, and is guaranteed to ensure yourself a comfortable stay. Located just 5 km from Tel Aviv Bat Yam does not differ from the climate tourist capital. In winter it is always warm, the summer is hot and humid temperatures dominate. In Whatever time of year you decide to rent an apartment in Bat Yam , a good rest will be guaranteed. It is on this and construct the main activity of. By the size of the town of Bat Yam is quite small. He has only three-kilometer coastal zone. However, you can provide all the facilities Tourist. It offers a warm Mediterranean sea, that can be accessed in different ways. Tourists who like a quiet holiday, like golden beach resort. In this case, do not need to look far. Вы можете снять квартиру в Бат-Ям в береговой зоне, также предлагаются домики, коттеджи возле моря. If you stay active, the resort offers diving with the ability to see the underwater world Mediterranean. Rent a boat or a boat, you can also try their hand at fishing, or just relax at a distance from the shore, the headaches and hassles. And this is not a complete list of coastal leisure. It is through a comprehensive service resort is very popular with tourists. Arriving at the resort, you can rent a room in a hotel or rent an apartment, rent in Bat Yam varies considerably range, depending on the class of apartment, but often much cheaper and more convenient hotel rooms. In addition to the coastal holiday you will be offered and other entertainment. A popular place for tourists is the city park Tel Gibor, which is known magnificent views. In order not to waste time on long walks, you can rent apartments in Bat Yam directly next to the city park. There is also a water park and to relax as a family, try different rides. However, the water offered not only in liquid form, but also a strong. For tourists in Bat Yam has a large artificial ice rink, which is open from early morning to midnight. Historic sites in the city there is little, given his young age. But this does not mean that there is no place to go. Вы можете снять квартиру в Бат-Ям, как в центре, так и в любых иных районах, и посетить различные музеи: музей писателя Шалома Аш, музей Бен-Ари, «Дом Рыбака», в котором расположена выставка художника Рыбака, Детский музей. The city has other elements of cultural, sporting, Family.